. 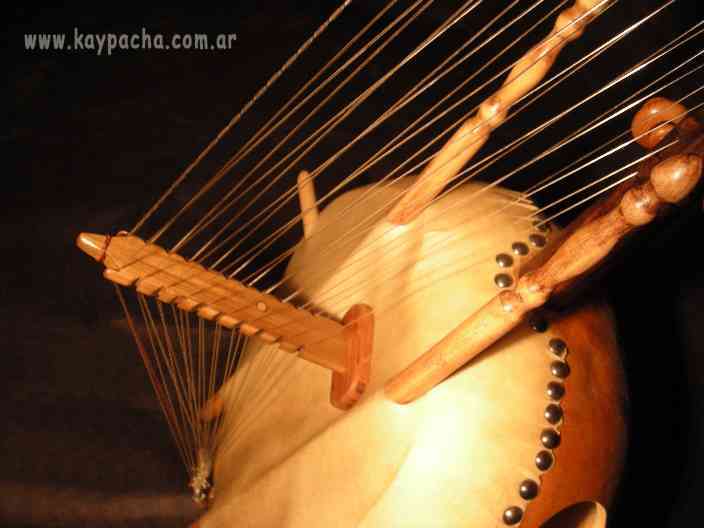 This harp is native of Gambia. 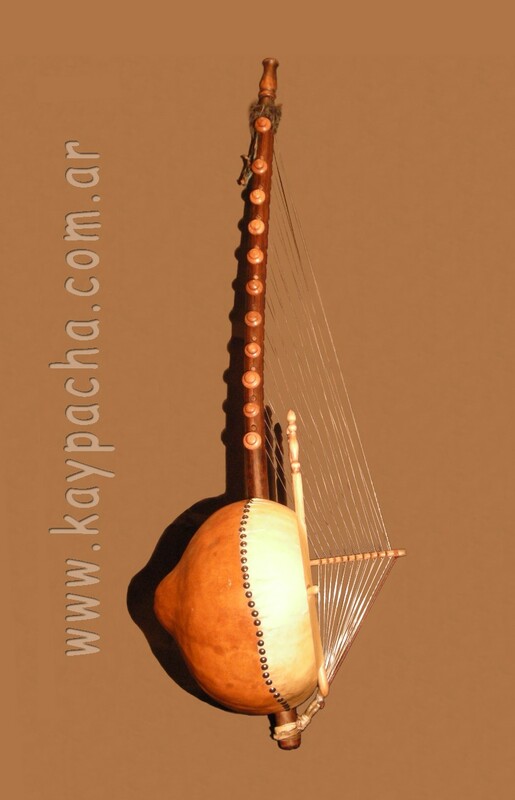 Comprises 21 strings, gourd, leather and wood. An approximate height of one meter and a large calabash cut in half by a leather cover which is a suspended bridge that holds the strings, we have built with pins for easy tuning. 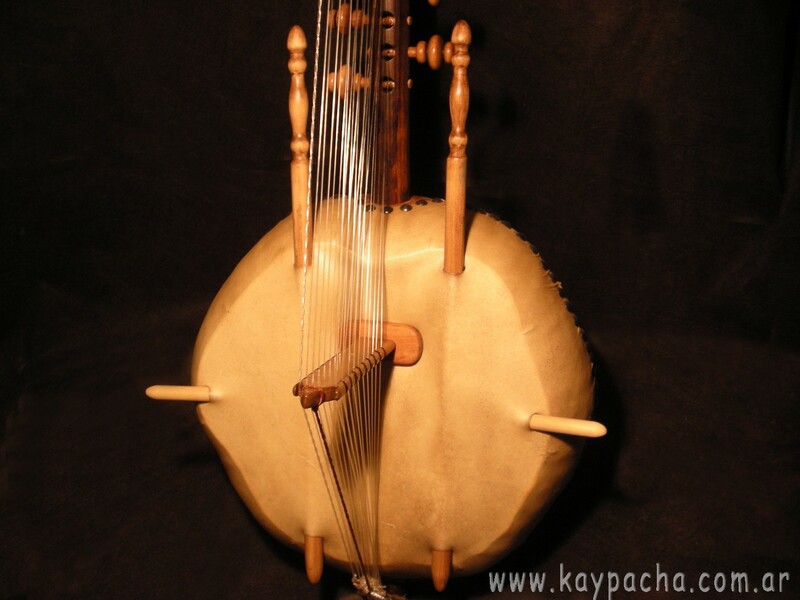 The Kora of Africa is a unique aspect to a harp and a notched bridge like a lute or guitar. The first known reference to the Kora from Mungo Park in 1799 in his book "Journey into Africa Districts Interns." He describes as "a large harp with 18 strings." 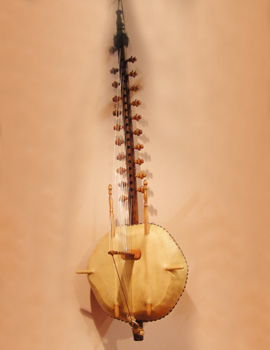 It originated in the valley of the River Gambia, but there are also players in the West African Kora as in Mali, Burkina Faso, Guinea, Sierra Leone and Senegal. In these countries they sometimes use the French spell it as Cora. 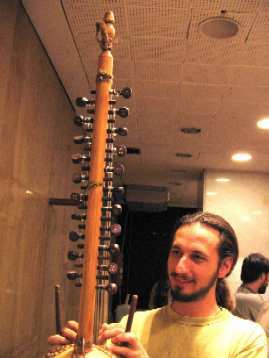 Traditionally, performing Kora fulfilled several functions. Could accompany a spoken or sung story about a person or family. Could also be used as an instrument for fun during a social gathering or a dancer. Sometimes Kora form part of a larger package of instruments including kontingo, balafon (a type of xylophone or marimba), singers and other performers Kora. Today, it is often combined with various instruments; sintetizadotes, electric guitars. 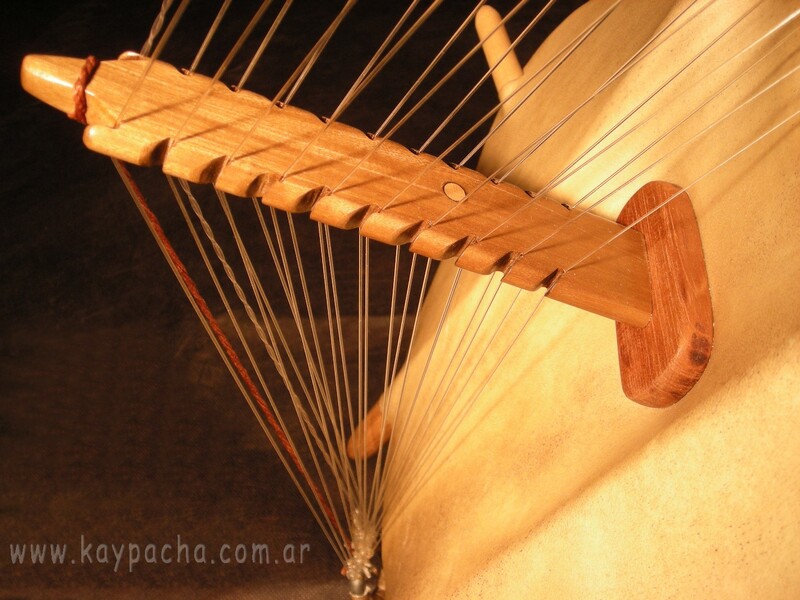 The bridge is right on a cushion of wood to transmit the vibrations of the strings. The support of all the strings is made of a ring of iron that is bound to the bottom of the mast. Formerly decorated the inside of the pumpkin with magic formulas and who did so was the "Marabou" who was the scholar in the field and specializes in issues of spiritual and ritual magic. 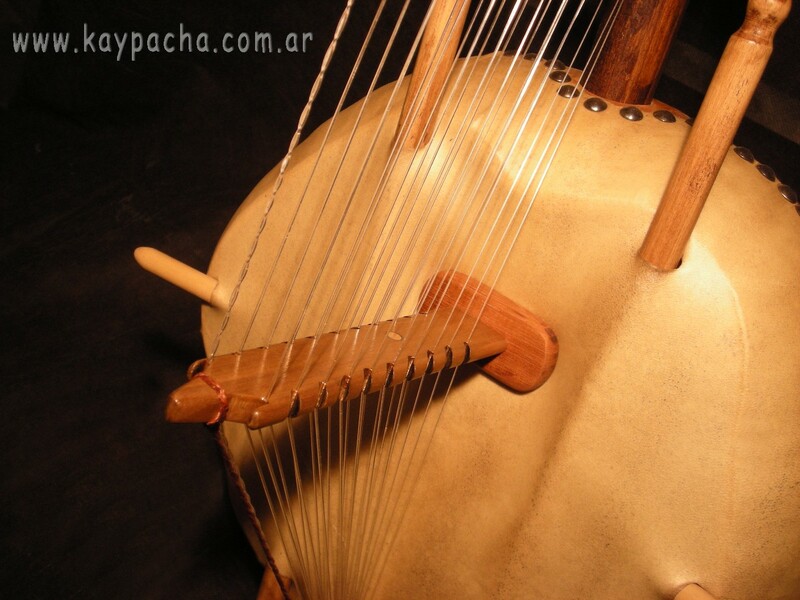 Some koras is often added to the wooden bridge, a sheet metal ring, like the djembe, to produce an effect of crack touching the strings. 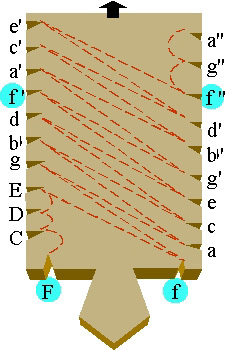 Typically the pitch is a traditional diatonic scale greater FA in alternating most of the notes on each side. The kora we produce will include an internal microphone to be amplified electronically without using external microphone. 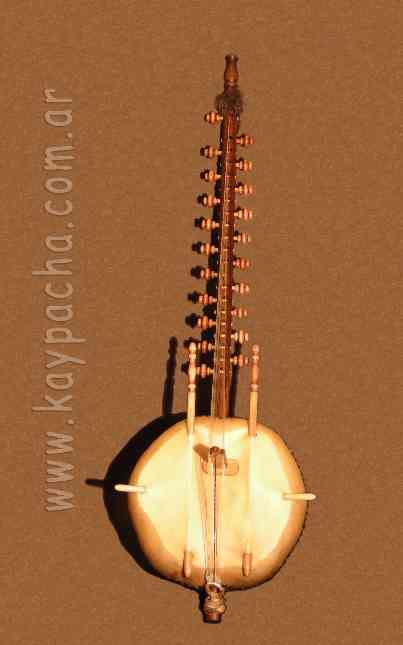 The Kora is taken vertically with the strings to the body, usually runs between the legs feel supported the body of the instrument. 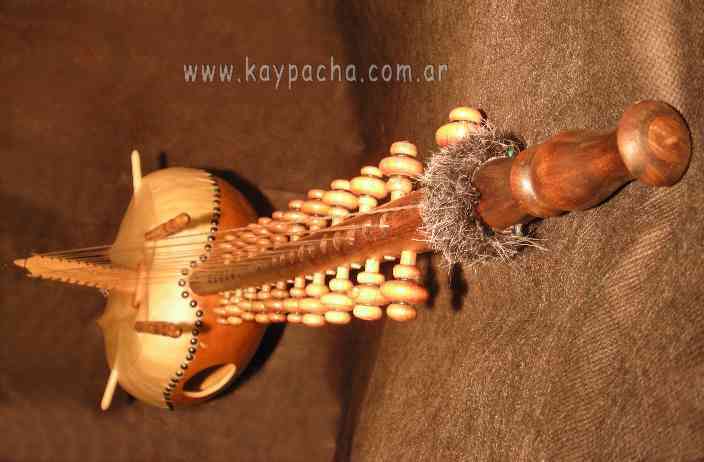 There are also two small sticks to hold the Kora with your fingers and touch the strings with just the index and thumb of each hand. 21 strings are usually but it depends on the region, 10 strings are on the right side and 11 on the left side with those who played with the thumbs under the strings and the indexes for the strings of highest pitch. 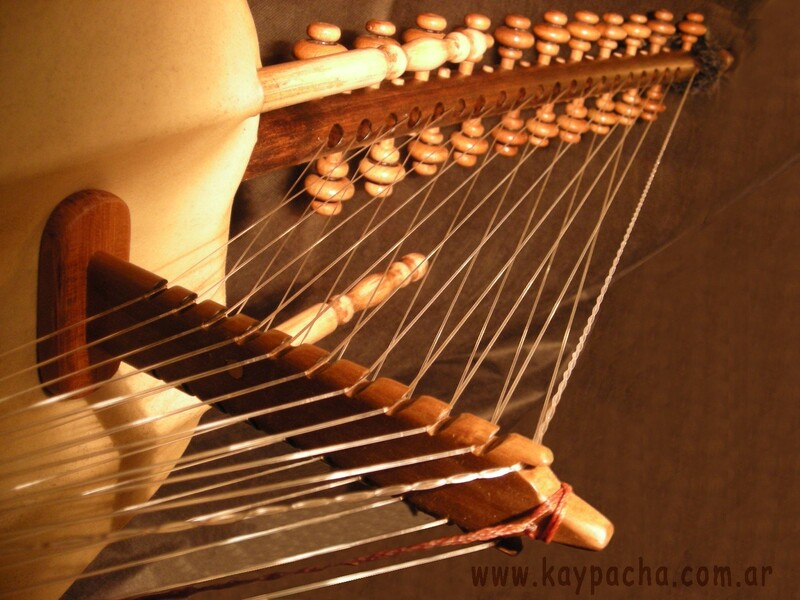 There is also (especially in the Casamance / South Senegal) 22 and 23 strings which are the Kora variants with additional low string. Once, upon a beautiful day, a man and his dog went to the bush to hunt. After a few hours the hunter got tired and looked for a place to rest. He noticed a big tree. Leaning to it was a kora. The man sat down. He watched and watched. "I?ve never seen anything like this", he said to himself. After a while he reached forward and touched the strings. The sound was very sweet. If nobody comes for it I will take it home, he thought. He waited a few more hours and then took the kora. On his way back to the village he met a stranger. The hunter did not know it was a devil. So the hunter asked this man: "Do you know what this is? Is it yours?" The devil answered: "Yes, this is a kora. The name means if you are tired, it can help you." He showed the hunter how to play and then said: "Take it home and I will show you many things." When the hunter entered the village everybody came to look at the kora. Nobody had seen anything like this before. The hunter started to play and people said: "This music is very nice to listen to." Afterwards, whenever the hunter went to sleep he saw in his dreams the man he met on the road. This devil taught him many things. How to play kora, how to sing, how to write his own songs. 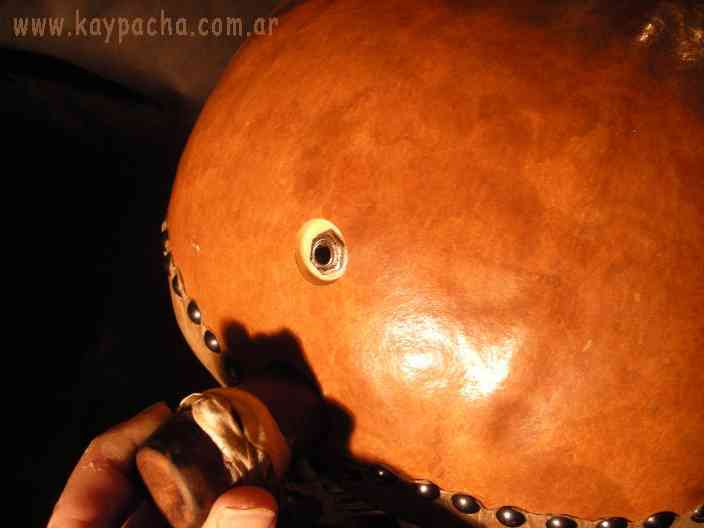 And how to make a new kora. 7 to bring the past to life. 7 to sound the moments of the present. 7 that will call the future. 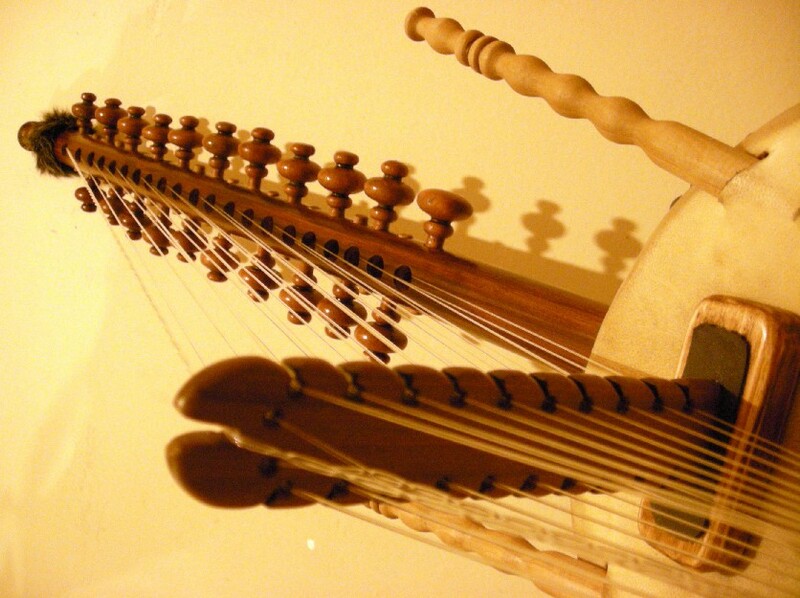 According to another tradition, seven of strings remain for the mother, seven for the father, and seven for the child.